The evenings in the summer are the perfect time to go outside and enjoy the evening as a family. For us this time usually involves some mix of toy cars, riding toys, water play, and sidewalk chalk. 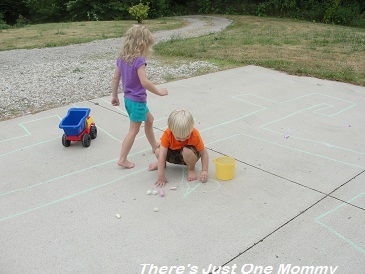 You just can’t go wrong with sidewalk chalk! 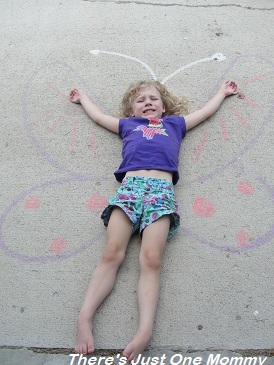 Here are 10 fun ways to use sidewalk chalk. 2. 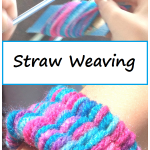 Turn your kids into butterflies, superheroes, mermaids… The ideas are endless! 3. 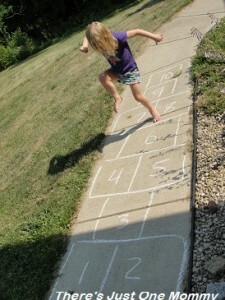 Use sidewalk chalk to work on ABC skills. 4. 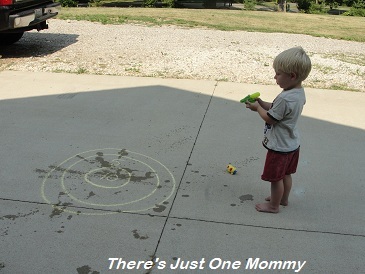 Draw targets with chalk and work on your squirt gun shooting! 5. Who says you have to draw on the ground? 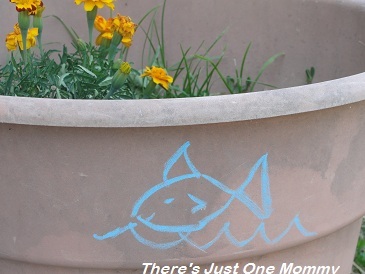 Flower pots, tree trunks, an unusual rock… Anything could be a canvas for sidewalk chalk. It washes off easily with water! 7. 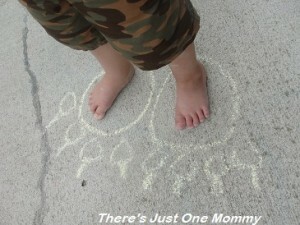 Challenge the kids to draw a variety of funny feet with the sidewalk chalk. Will your little one roar like a lion in lion feet? Or maybe they’ll quack like a duck in duck feet! Yes, it was definitely bath night after this! 9. Use the chalk to become a scientist! 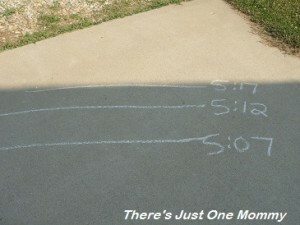 Draw a line around your shadow and then see how your shadow changes in 5-10 minutes. Or, find a shadow from another object to study. Perfect chance to talk about how the sun seems to move across the sky and how it affects shadows. 10. Draw a maze with the sidewalk chalk! Can your little one find their way through it? Have a truck lover? He/She can drive their vehicle through the maze! 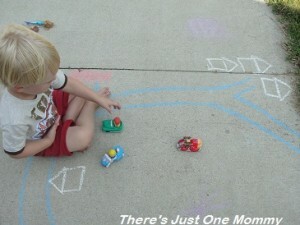 Got some other ideas of what to do with sidewalk chalk? Leave a comment and share what you’ve done! Thanks! 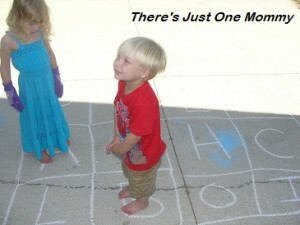 They had fun with each and every idea… And I had fun trying to come up with new things to do with the chalk. 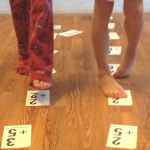 Hey that’s what my grandson and 11 year old did today! FUN!! You are a fun Mommy!! Blessings! Cute activities. I love the butterfly picture. You could create some really fun pictures with this idea. 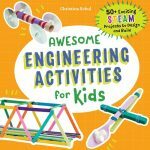 I want to remember some of these suggestions! Thanks for sharing! Thanks! 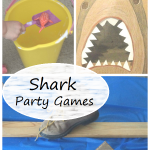 We had so much fun with all of them! You have the cutest ideas. How fun. I like the squirt at targets and turning it into paint. I was always one for the messy stuff. Thank you! 🙂 I take no credit in the turning chalk to pain, that was totally my daughter… I left to go check on dinner and when I came back she was covered! 🙂 But she had fun! 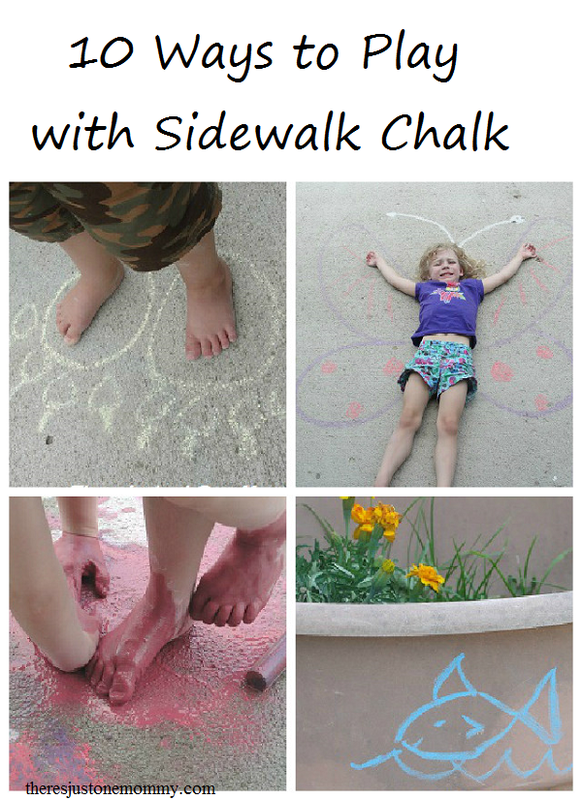 Great ideas for sidewalk chalk! Thank you for posting on Saturday Show and Tell. I hope you’ll be back this week. Thanks – we had fun with each and every one of them!